I guess it looks rather pathetic, but it has airplanes, Hello Kitty and a star made by my Dad… and it makes me laugh. It’s the perfect Christmas Tree! We haven’t had a flood or fire or any other major catastrophe, but, for some reason, posting to the blog never made it to the top 10 on any of my to-do lists. I guess you could say what I went through last week was the plague. I certainly wished I could just die and get it over with (not really!). 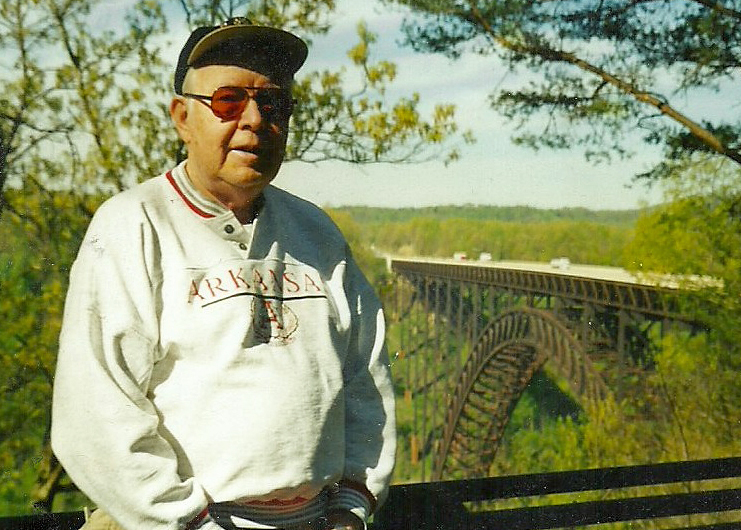 I had the flu: achy joints, low-grade fever and unable to even keep water down without a reappearance. I won’t go into the rest of it. Thankfully, that phase only lasted about 24 hours. I managed a small paper pieced block last week. As I crept up the “wellness ladder” to oatmeal and soup, my room-mate came down with it. Luckily, not as bad a version as I had. I really only had one day where I was unable to sew, but didn’t work on much. 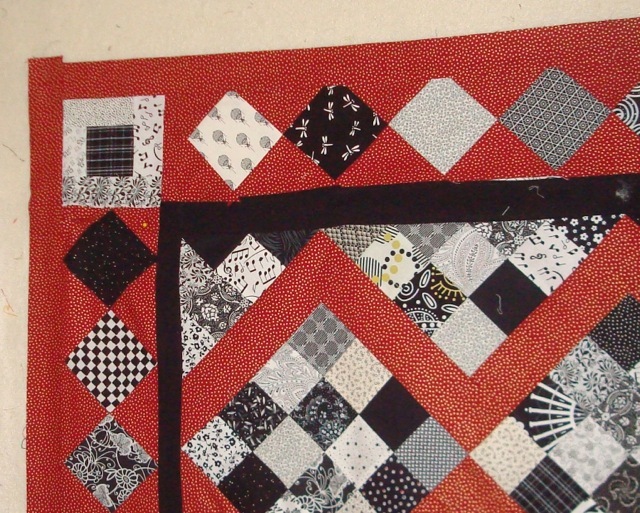 However, I FINISHED the red/black/white quilt, and came up with a name for it (although I haven’t photographed it yet.) I’m thinking of calling it “Inari” after the place my NaNoWriMo novel is partially set. These are the corners I finally ended up with. One of the problems that drove me nuts were the corners. I always knew I was using diamonds in the border, but since the edges were off 1/4″ on either side of the top/bottom border and 5/8″ on the sides of the right/left border, I wanted to make sure there was some red in the outside of the block I used for the corner so that the fact that the diamonds didn’t quite reach would not be obvious. One of the corner options that I decided against. I guess I should just be glad to have finished it. It did not turn out at all like I had originally envisioned it, but then again, the 16-patches were supposed to be separated by Xs. If I’m lucky, I’ll have a photograph of the whole top before my next post. Happy Christmas to all who celebrate and to those who don’t, peace and joy and purring kittens! After several days of bright, clear days (but really cold ones! ), December dawns. I did finish the 50K words for NaNoWriMo this year, meaning I’m officially a winner. Yay, me! I did not, however, finish the story, so I hope to continue that at a slower pace. I’m not usually the most scintillating poster over there, and I’m rather afraid my “status”es seemed “much of a muchness” (ha! got that one from a thesaurus!) during the month, but a few comments and a couple of likes was all that was really needed to spur me on. Also, a big shout-out to Mur Lafferty and her podcast “I Should Be Writing.” I had been toying with getting into writing, but more slowly… and in January. Her daily podcasts were definitely inspirational, and if you’re not of a writing mind, you may want to pick up her book, The Shambling Guild to New York City, which sounds like a hoot, and I’m hoping to get it for Christmas. The zigzag sashing is confusing, but goes together in (sort of) diagonals. 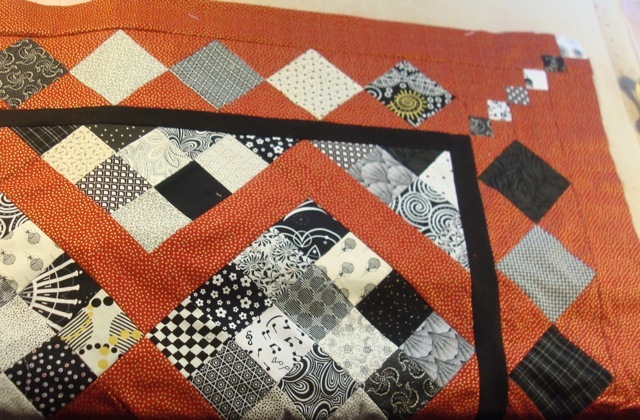 But now, back to December, and back to quilting. 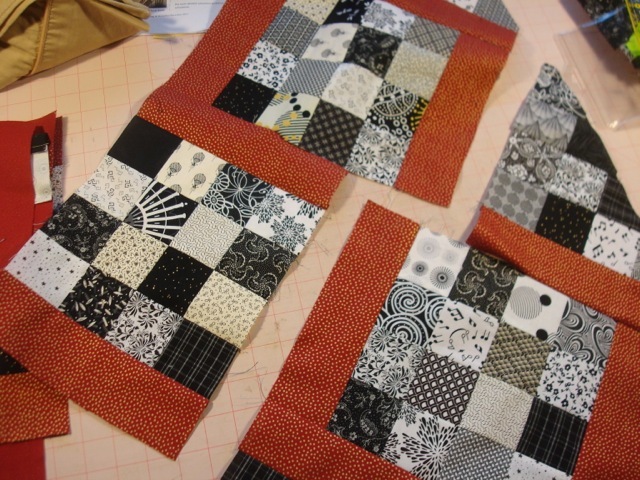 I finished all the blocks and the half blocks for the black and white quilt (still nameless.) I am now putting it together. I love the look of this zigzag sashing, and I’ve done it several times, but it never seems to go together in any coherent form. 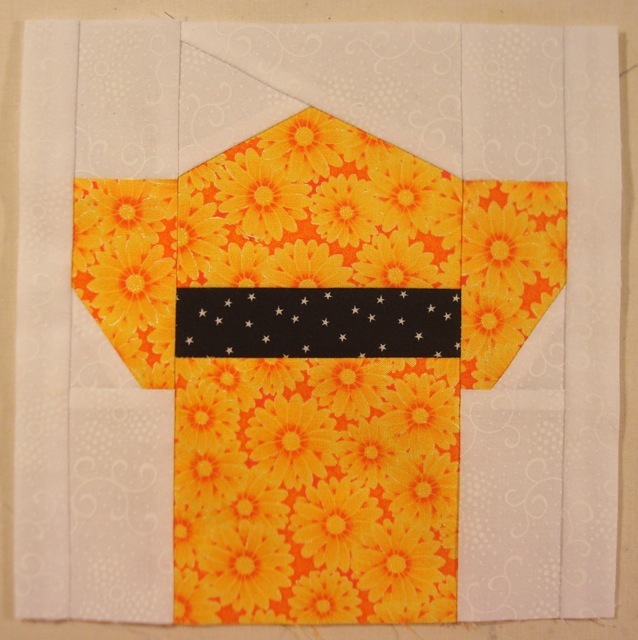 Sew sashing to two opposite sides of each block. Throw blocks up in the air. As you catch them, sew them together. Repeat until the quilt is done. Probably the most helpful advice would be to lay it out on a design wall (or floor) and sew it as you see it. It’s not for the faint of heart as it requires many (many!) partial seams. I’ll try to get back to posting here on Thursday (and on quilting) again, and, maybe, I’ll have the center of the black and white top done… or named.